Italian Interior Minister Matteo Salvni has issued a memo to that creates stricter procedures for vetting asylum claims. Salvini explained that he asked for ''speed and attention in welcoming those who are truly fleeing war but also in stopping all those who don't have a right'' to protection. ''Pregnant women and children remain in Italy'', the minister added, denying local media reports.Salvini also announced that 42 million euros pledged to host migrants would instead be spent for repatriations. The document issued by the ministry said 136,000 asylum requests are being processed, up from 130,000 last year. 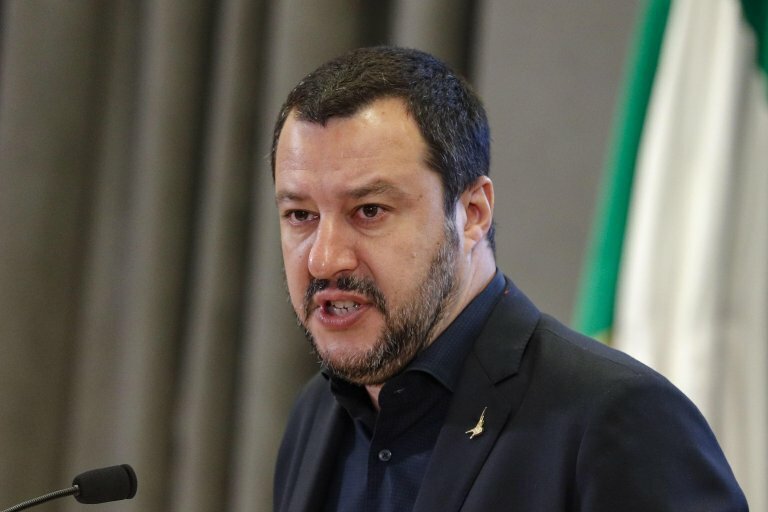 Salvini said this required ''careful reorganization'', including cutting down the time necessary to process applications with Italy's 50 territorial commissions required to work ''continuously (five days a week)''. However, the key point is cutting down the number of people applying for documents for humanitarian reasons: 25% of the total over the last five years (28% in 2018, or 11,306 people) against 15% of those who were not recognized as refugees but benefited from a form of international protection and 7% of people who were granted asylum. The first type of protection, the minister said, ''is reserved on paper to limited cases of people who, although they are not fleeing war, need protection. However, they represent 28% of cases which becomes 40 with appeals, or tens of thousands of people. And often this legitimizes illegal immigration''. The law on humanitarian protection, which was introduced in 1998 in Italy, has benefited so far people in situations connected to ''health, motherhood, minor age, a tragic personal experience, a prolonged stay in Libya, to include an instrument to award integration''. Humanitarian protection, initially granted for two years, was generally extended in an automatic way. Such practice reportedly led to residence permits being granted to a ''large number of people'' who are now living in Italy with difficulties integrating, the document said. For this reason, the circular urged to examine the ''serious motives'' that give the right to a residency permit for humanitarian reasons. The minister confided in the ''maximum attention'' of commissioners in ''safeguarding the primary interests of the community as well as the rights of applicants''. The initiative is aimed at ''limiting abuse that damages real refugees. It is clear that pregnant women, children who have or not fled from war remain in Italy if they are in Italy'', Salvini said. ''Those who are not well-informed should be ashamed of themselves if the say or write otherwise''.